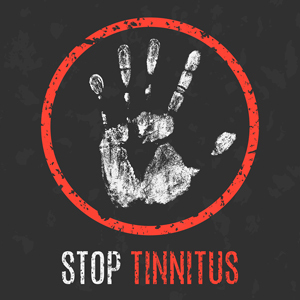 Tinnitus (pronounced either: tinn-I-tus or TINN-i-tus) is usually defined as a buzzing or humming in the ear that others cannot hear. The emerging consensus is that the noises you perceive from your tinnitus condition are unique to you, and are actually generated by your brain after your hearing receptors have been damaged by injury or illness. This is actually good news for tinnitus sufferers, because it means that by working on your brain, behaviorally (and not physically) you can reduce, and in some cases eliminate the debilitating effects of tinnitus; no drugs or surgery required. The method we like best is called TRT (Tinnitus Retraining Therapy.) In essence, TRT is an approach by which you reprogram your brain to stop making all that noise. This is accomplished by 1) never letting yourself exist in silence, for silence is the condition in which your tinnitus is guaranteed to become more prevalent, and the more prevalent your tinnitus, the worse it gets. You can instantly tamp down the intensity of your tinnitus sounds by simply injecting some background noise into your ears. You already know this. When you are going about your daily business, your tinnitus tends to behave itself and remains almost imperceptibly in the background. But, at night, when the house is quietest, your tinnitus comes roaring back. So, add a little white noise or other innocuous sound throughout the day and, most importantly, the night, to keep your tinnitus down. Use the absolute minimum volume of sound needed to quell your tinnitus. 2) Over time, never letting your tinnitus monster out of its cage by simply never exposing yourself to silence, you are training your mind to stop making the noise. Once you have established the sound volume necessary to keep your tinnitus at bay, you can then ever so slowly reduce the amount of background noise you use to keep your tinnitus from bothering you, and over time, potentially even eliminate your tinnitus completely. TRT is a relatively new approach to treating, or more accurately, managing your tinnitus, but research suggests that it may well be the most effective at treating this persistent and debilitating condition. The best point is that TRT is safe and inexpensive. By using a white noise source on which you can control the volume, and a delivery mechanism, which can be composed of a desk top white noise machine, an in-ear white noise device also called a tinnitus masker, or earphones connected to a smartphone with a white noise app, you can give it a try. Explore the world of musicians ear plugs here! We think you will be impressed with what you find. Modern music listening ear plugs have exploded onto the ear plug world over the past ten years or so, giving everyone, from casual music lovers to professional stage musicians an increasingly wide choice of ear plugs that let you choose the amount of sound reduction you experience, while still letting you enjoy the full experience of the music you love. With music listening ear plugs, only the volume is reduced; not the fidelity!